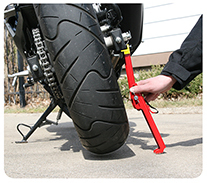 Place motorcycle on level even asphalt, concrete or solid level surface. No loose gravel or earth etc. 3 On the right side of bike-Place the foot of the unit about 3-4 inches away from the rear tire, with the cradle facing the swingarm. 4 Place the cradle flaps under the swingarm at the same time. 5 While holding it in place, push firmly towards the swingarm, on the top of the lower unit, , until it raises the bike and locks in place. Keep skin and fingers away from the folding areas. 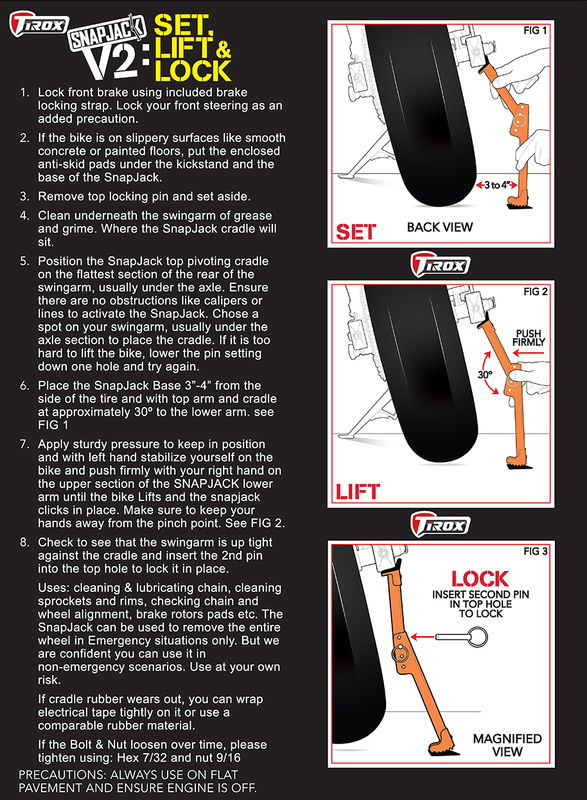 6 If the wheel does not spin freely, uncouple the Snapjack and reposition it closer to the tire and try again. 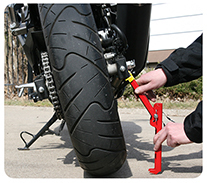 The Snapjack is made for motorcycles with a left side chain drive system. 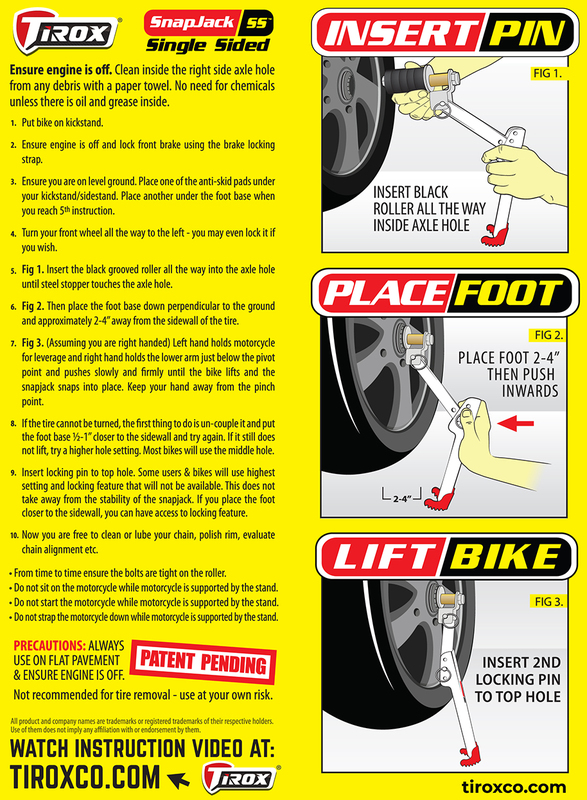 If the rear tire is lifted higher than 1/2 an inch, use lower pin setting. Varying the position of the toothed foot, closer or further from the tire, will ease or make it tougher to push the stand into place. On painted, epoxy or smooth floors, place the rubber pads under the motorcycle kickstand to prevent sliding and the Snapjack foot from chipping of painted or epoxy floors. 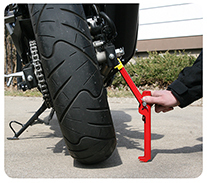 For tubular rounded swingarm, position closer to the axle flat section to engage the Snapjack.